This institute aims to respond to the exclusive and particular needs of present modern day retail industry. NIRM focuses towards creating a vital and primitive resource centre for retail manpower with functional pursuits human resources, IT, Marketing, operations and supply chain. The programs are industry oriented and designed in such a way that ensures and enables students of NIRM to amplify their employment and growth aspects. 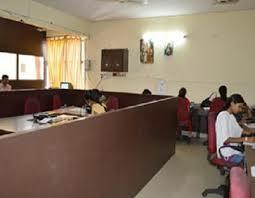 Through distance education programs this institute provides unique career development opportunities and academic excellence. The minimum eligibility criteria one should have to apply for this course is a graduate degree. Those candidates applying for this particular program should have at least 45% aggregate marks in any domain from a recognized university. The score at each level are amalgamated and candidates are selected with respect to their final scores. The total fee for two years sums up to approx. 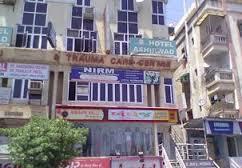 INR 50600.
i need counselor to interact kindly provide contact number of National Institute of Retail Managemen? Write Your Reviews on "National Institute of Retail Management Mumbai"
Are you Interested inNational Institute of Retail Management Mumbai"? Please provide the following details. 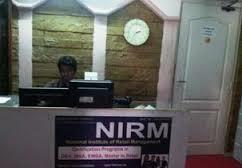 Ask Question on "National Institute of Retail Management Mumbai"?